Total wellness programmes go beyond looking at physical health. While the most apparent impact of stroke might be mobility, there is a need to address the impact of stroke on their socio-emotional and psychological needs. S3's goal is to compliment and reinforce the rehabilitation programme S3 members have undergone in the day rehabilitation centres and reinforce the benefits of these programmes. 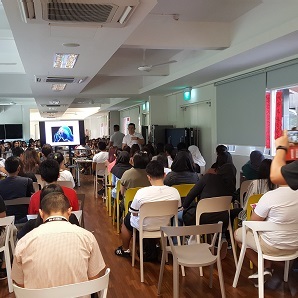 The goals of S3 programmes are to assist in the continuation of member’s recovery journey through the setting of personal goals and continue with accredited wellness programme audited by a physiotherapist, occupational therapist and speech therapist, to achieve a good outcome. Also, some programmes meet the psycho-social needs, stress reduction, music and dance, horticultural therapy, games station, use of technology for rehabilitation, education and monitoring of the stroke journey and mindfulness awareness programme to build mental resilience. S3’s programmes equip its members with the support that will enable them to rebuild their confidence, independence and assimilate into society. As part of S3’s fitness programme, S3 members can engage in maintenance exercises or even use modified gym equipment to improve mobility, balance and strength. Programmes are specially designed by physiotherapists and "Original Strengths" Instructors from Kaizen Fitness Institute. It consists of a range of activities to help members gradually regain self-confidence and independence. It also incorporates music with the exercises to improve mood and social interaction. The activities are infused with mindful awareness practice to encourage letting go of distractions and unrelated thoughts, and focus members’ attention on their sensations, breath, and movement of the body to make the exercises more effective. Basic level exercises serve to build strength, balance, and stretch. As members gain confidence, continuing to the Body-Fit Programme will help members to achieve higher levels of mobility within their capability. The exercises are designed to improve on what has been previously learned and by adding new ones that will challenge members to achieve an improved level of fitness that provides progression over time where possible. Exercises that will continue to improve their lower limb strength and endurance, improve standing balance, posture and gait that will reduce the risk of falling. Finally graduating to Active-Fit programme - a one-to-one exercise programme will be available for members and may be conducted in a gym. By this time, members can almost return to normal active social life. It is a range of gym exercises to encourage members to use more parts of their body. With S3 Re-Learned Enjoy Active Living, (R.E.A.L) programme, it is possible to continue with a maintenance programme at S3 centre as well as at home for speedier recovery, especially during the first four to six months after a stroke event. Working towards a better quality of life through a community-based support system together with a social-emotional support that rebuilds confidence, social connectedness and independence. The S3 daily living programme is developed by occupational therapists and aims to help S3 members reintegrate into the community. 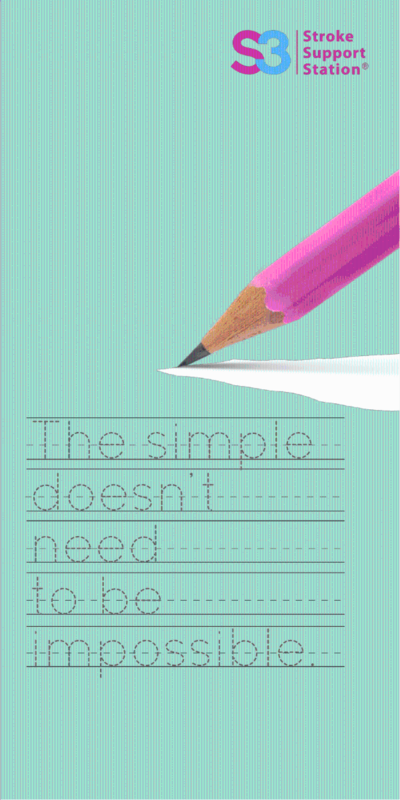 This programme helps survivors regain mastery of their life skills, both at home and in the community. Increase participation in social interaction and gain confidence with reintegration. 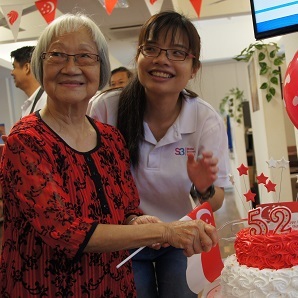 S3 speech programme, developed with the help of speech therapist, aims to improve speech impairment, facial laxity and difficulty in swallowing. The programme helps in cognition improvements and mood/behaviour regulation. S3 Healing Garden, the horticultural programme has been known to help in the mental, emotional and social support that members need to help them improve their feeling of well-being. The S3 horticultural programme was developed with the collaboration of National Parks Board. The Cognition Programme is a series of cognition improvement programme to benefit members’ memory, language and executive functioning. A music reminiscence programme will help to improve stroke survivors' memory, emotion and feeling. S3 Mental Wellness Programme provides socio-emotional and psychological support to the members. Activities are conducted in groups to increase social interactions and fosters peer support. 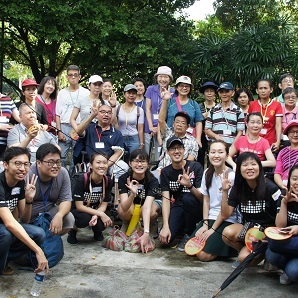 S3 organises social events like outings and parties to improve social connectedness between its members, caregivers and volunteers. Mindful Awareness Practice sessions to help build mental resilience for S3 members through relaxation and breathing techniques to reduce the stresses of daily living. Motivation speakers will be invited to speak to members. Speakers include stroke survivors as well as guest speakers from Healthcare institutions. 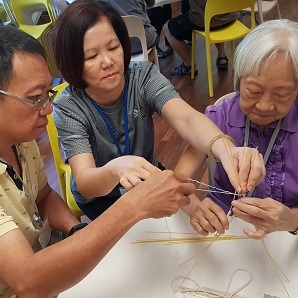 Group support and counselling programme will be available to stroke survivors to help them relieve their stress and better cope with their stroke journey. After a stroke, members may find that their need to make some changes to what they eat. They may have difficulty eating or drinking and may need to change the consistency of their food or drinks. S3 will organise talks to educate its members how to change the types of foods they eat to be lower in cholesterol and/or salt to reduce their chances of another stroke occurring. The best defences against recurrent stroke - is a good offense. S3 will organise talks to equip its members with information and tips for preventing another stroke. Be aware of their symptoms and risk factors. Managing their health will help reduce the risk of recurrent stroke. 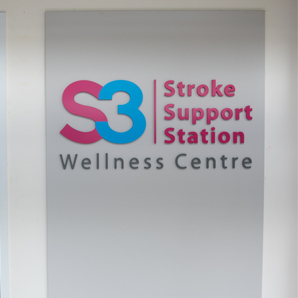 S3 and NUHS partnership enable both organisations to have deeper insights to the needs of post-stroke community care required by stroke survivors and caregivers. It allows the creation of enhanced post-stroke survivors and caregivers programme including education workshops. This evidence-based approach requires periodic monitoring of the stroke survivors’ recovery journey through the use of validated surveys of stroke survivors’ quality of life, the Hospital Anxiety Depression Scale (HADS), stroke survivor self-efficacy scale, social and emotional needs as well as post-stroke cognitive abilities.